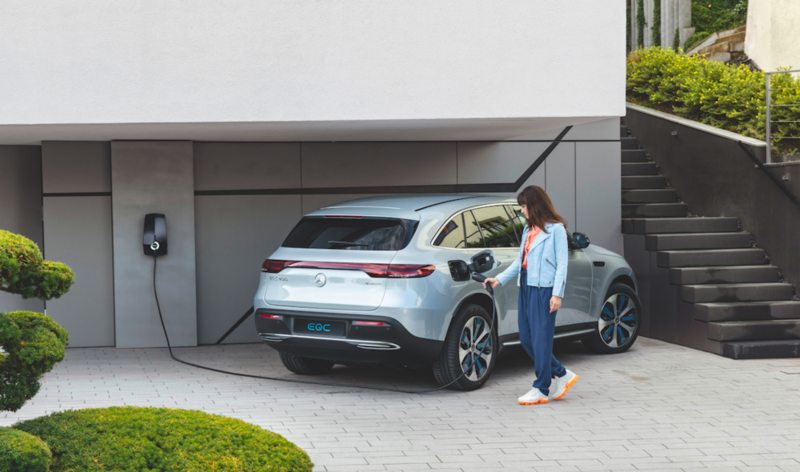 Amsterdam, April 10th 2019 – Mercedes-Benz signed a deal with utility company ENGIE and electric vehicle charging station manufacturer EVBox for the BeNeLux (Belgium, Netherlands, Luxembourg) market. As part of this new partnership, all customers and dealers of Mercedes-Benz will be supported in the transition to electric mobility. The partnership applies to all plug-in hybrid and full electric models of Mercedes-Benz cars, including private and commercial vehicles, the Mercedes-EQ, and the Smart. At EVBox, we’re happy to contribute in such a significant way to help Mercedes-Benz’s customers make the transition to electric mobility. It’s clear that electric driving is growing fast in the BeNeLux, and with it comes the demand for reliable charging infrastructure grows. With our expertise and many years of experience, we believe that we are exceptionally well suited to guide and advise Mercedes-Benz in this transition. With EVBox, ENGIE is able to offer Mercedes-Benz smart home-charging solutions with a capacity of 22kW. The WiFi and 3G connectivity of these home-charging solutions guarantees a station that is always connected and has full billing and invoicing functionalities. For fleets EVBox is able to offer a broad range of charging stations—from commercial charging stations (AC) to fast chargers (DC) up to 350kW. Fleet managers also have access to a dashboard that shows all relevant charging parameters and analytics. For public (freely accessible) charging stations,EVBox guarantees a large coverage in the BeNeLux region of up to 98%. Additionally, with the ‘Hey EVBox’ app, stations can be located on the map, along with information about availability and tariffs. The main advantage of the partnership between Mercedes-Benz, ENGIE and EVBox is the smart and connected approach, in which consumer and professional needs are seamlessly integrated. This partnership applies to all plug-in hybrid and full electric models of Mercedes-Benz cars, including private and commercial vehicles, the Mercedes-EQ, and the Smart. With ENGIE and EVBox we’ve chosen specialists who can fully take care of the needs of both ourselves and our customers and dealers. Thanks to these partners, we can offer a ‘one-stop shop’— a complete package for private, public, and fleets, including installation (advice) and aftersales.